Ahh, summer is here… finally! 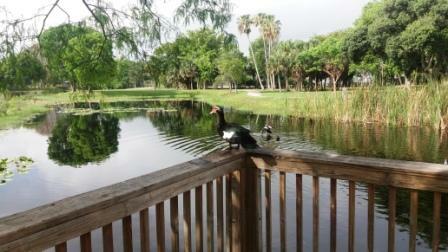 Early morning is a good time to visit your local park while the heat is still manageable. Dreher Park is one of my favorite and really close to my home. My dog Gracie and I enjoy spending mornings there. I find it very relaxing just to watch ducks swimming around while she prefers watching them jump into the water as she gets near them. Several turtles can be found basking in the sun. 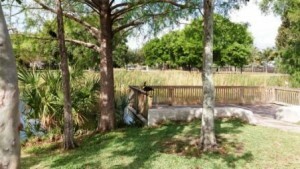 You may take an easy stroll around the many paths over bridges and around the ponds. Large trees gives you nice shady areas as you walk along. At Dreher Park, on the PB Zoo side is where these pictures were taken. Loved to watch the mother duck with her ‘so cute’ baby ducks. 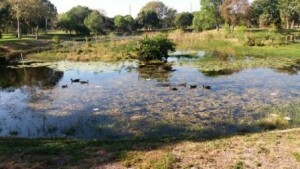 It’s summer and a great time to unwind, come with the kids and enjoy nature and wildlife. 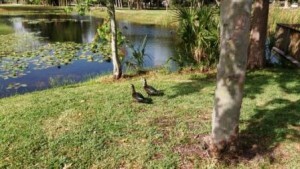 Exercise, Health and Wellness, Nature Trails - Nature Centers, Parks in WPB, Videos. permalink.